We spend this episode talking about amulets and talismans. How do they work? Which ones do we like using? And which ones do we really want to try out in the future? Lots of good discussion this time around! CONTEST ANNOUNCEMENT! We are doing a second round of our Audio Spellbook, so all you have to do is send us the sound of *you* describing your favorite spell which uses everyday ingredients (things you could find in a spice cabinet, grocery store, or backyard, for example). You can either record your spell and email it to us at compassandkey@gmail.com or call us and leave us a voice mail on our official NWW hotline: (442) 999-4824 (that’s 442-99-WITCH, if it helps). You can also get an extra entry by sharing either our Patreon page or our Contest Announcement via your favorite social media (make sure to tag us or get a screen capture you can email to us). What will you be entered to get? Well, you’ll get a NWW Annual Mailer (who can’t use an extra one of those, right? ), a couple of bottles of our personally handmade condition oils, a folk charm or two, and a book or two to make it all even better! In this episode, Cory takes you along with him on a trip to Memphis, Tennessee, to discover that city’s magical and mystical side. Tater Red’s on Beale St.
A. Schwab’s on Beale St. This particular magical herb/plant/ingredient is rather controversial. As a reformed smoker, I know the power of tobacco’s hold on a person—it’s not just the nicotine, but a whole range of psychological dependencies that develop when one is a smoker. What I’m looking at in this post, however, is not really tobacco as a commodity sold in convenience stores using cartoon animals, but instead the plant found in the Nicotiana genus. Tobacco is a member of the nightshade family (Solanaceae), which includes other rather magical plants like belladonna, datura, and mandrake as well as common (yet mythically significant) edibles like the tomato, potato, and chili pepper. The plant is also a potent natural insecticide—or insect deterent, rather—and an infusion of tobacco leaves in water is often sprayed in organic garden to keep pests away. Tobacco, like corn, is deeply significant to certain Native American tribes, who incorporate tobacco into ceremonies and offerings. Cherokee shamans, for example, would use sacred tobacco in ceremonies designed to combat “night-goers,” evil spirits or people who invaded the dreams of others. Tobacco smoke was also used as a curative for a number of ailments, and these uses filtered into non-Native practices over time (which we’ll see in just a moment). This method clearly derives (I think, anyway) from the Native American medical practices which Europeans adopted in the New World. The religious objections to tobacco were primarily on its use as a vice and an intoxicant. According to Foxfire 7, the Jehovah’s Witnesses had especial objections to it, and for quite intriguing reasons: “Smoking has always been completely out of vogue among Jehovah’s Witnesses…As the Society researched the derivations of tobacco and smoking, they found it to be associated with spiritism.” They also related tobacco to “drugs” used by “priests in pagan ceremony and worship” (Foxfire 7, p. 152-3). 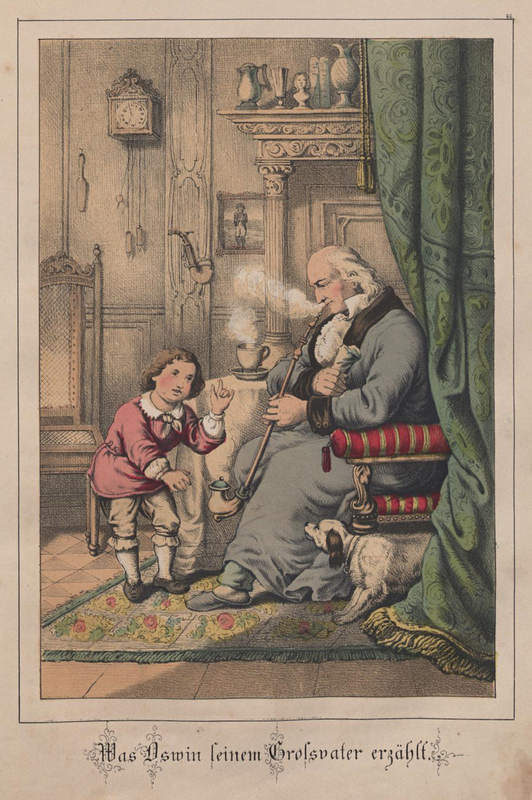 When it comes to purely magical uses of tobacco, the information I found varied a good bit. Zora Neale Hurston mentions it as a cursing ingredient in a powerful separation spell. She also tells a very interesting story about a man who takes shelter in an abandoned house only to be joined by a mysterious old man who begins spitting tobacco across the fire at him. When the man attempts to fight the old fellow, he finds himself thrown across the room over and over again. In this context, there seems to be a subtle current relating the “old man” of the story to the Crossroads Man, Papa Legba, or perhaps the Devil (or maybe even all three from a certain perspective). One article from 1890 indicated that tobacco was included in mojo bags made with the famous lucky rabbit’s foot. Cat Yronwode recommends tobacco as an ingredient in court case and spirit contact work. In this latter capacity, I’ve see tobacco used as an offering to various spirits, particularly crossroads entities and spirits of the dead (Central American folk-saint/crossroads spirit Maximon frequently smokes cigarettes or cigars). Denise Alvarado’s Voodoo-Hoodoo Spellbook indicates that tobacco is frequently offered to Baron Samedi in the New Orleans Voodoo tradition. I would also suggest that due to the calmative and drawing effects that tobacco exhibits in folk medicine, it makes a useful addition to house-cleansing and blessing incenses. A very small pinch added to another incense blend in a well-ventilated house should draw evil spirits out of your home and welcome friendly (and particularly, ancestral) spirits into it. If you or anyone you live with cannot abide tobacco smoke, however, consider burying a little cut tobacco leaf at the four corners of your property to produce a similar effect. Lastly, if you choose to smoke tobacco in a ritual context, consider whispering prayers as you exhale smoke. It makes a fantastic visual focus point to see your requests and adoration slowly rising from your mouth and into the air. Again, I don’t condone smoking (especially not outside of a very occasional ritual setting), but if you do incorporate it into your practices, I hope that this suggestion helps. That’s it for the devil-weed tobacco! I hope this proves useful to some of you out there. Please let me know if you have any other magical or folk remedy uses for tobacco leaf in the comments below. It’s an article about hoodoo in the Wall Street Journal! Take a look and let me know what you think! Today we are truly blessed to have an interview with renowned rootworker and teacher Catherine Yronwode of the Lucky Mojo Co. Then we briefly discuss Christianity in hoodoo. Laine tells us about Magical Soap in WitchCraft, and Cory talks about Spiritual Cleansing Baths in Spelled Out. And, of course, her book Hoodoo Herb & Root Magic is often referenced on the blog and in the show. Cory also reference’s Draja Mickaharic’s Spiritual Cleansing, a definitive guide on the topic.